Las Vegas has so much to offer it’s hard to know where to start. There are Las Vegas attractions for all ages and all interests. Tours are available to the Grand Canyon and Hoover Dam. 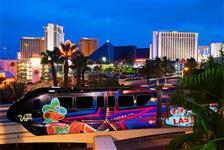 Take a ride on the Monorail or discover the Vegas culinary scene with a food tour. With all the fun things to do and see around Las Vegas, start planning early and don’t miss a single thing!